Posted by Miha Škerlavaj in change management, conferences, innovation, invited lectures, organizational culture, organizational learning. 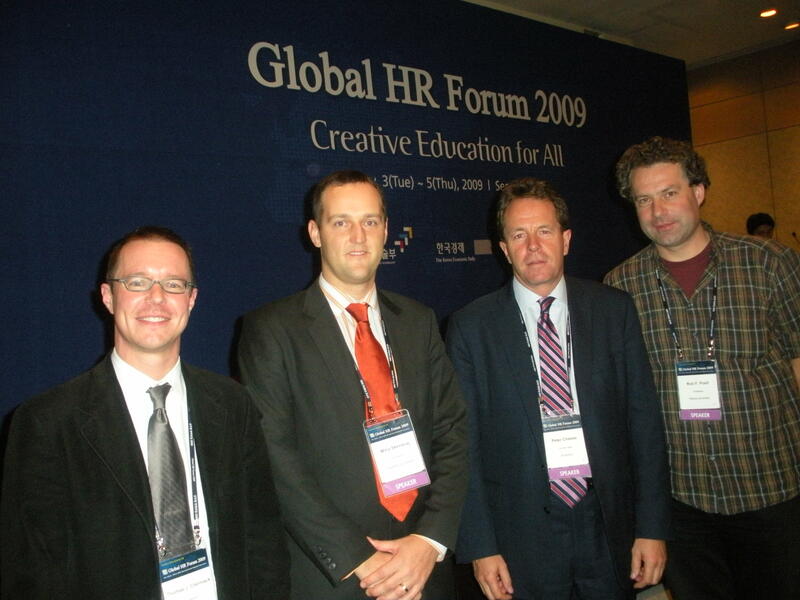 Just came back from a marvellous event called Global HR Forum 2009, held in Seoul, Republic of Korea (Nov 3 – Nov 5 2009) where I was invited to give a speech on the role of learning -oriented and innovative culture as a tool for managing change. I have to say that I was amazed by impecable organization and genuine warmth of our Korean hosts. 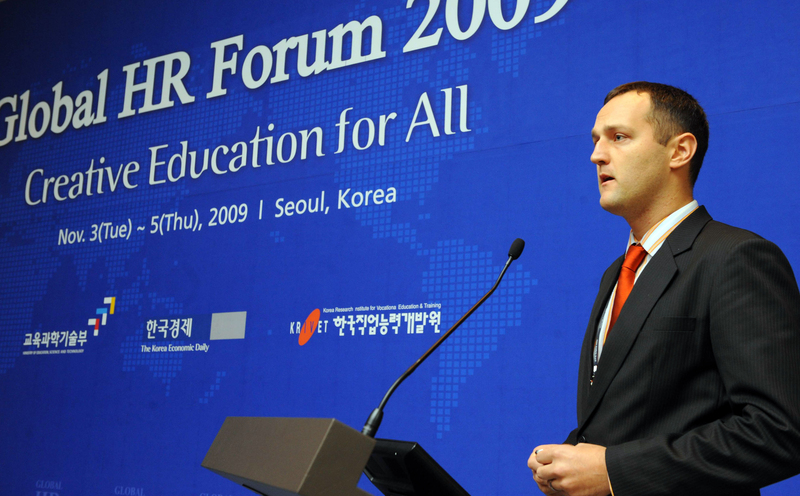 In addition to this, the largest award for every speaker is to experience such a true eagerness to learn as I have from the large audience of Korean CEOs, HR professionals, policy makers and consultants. There were also a plethora of excellent talks from great practitioneers, scholars, consultants and global decision makers. Everybody is kindly invited to have a look at the Global HR Forum You Tube Channel, where all the talks will be made available in few weeks time.